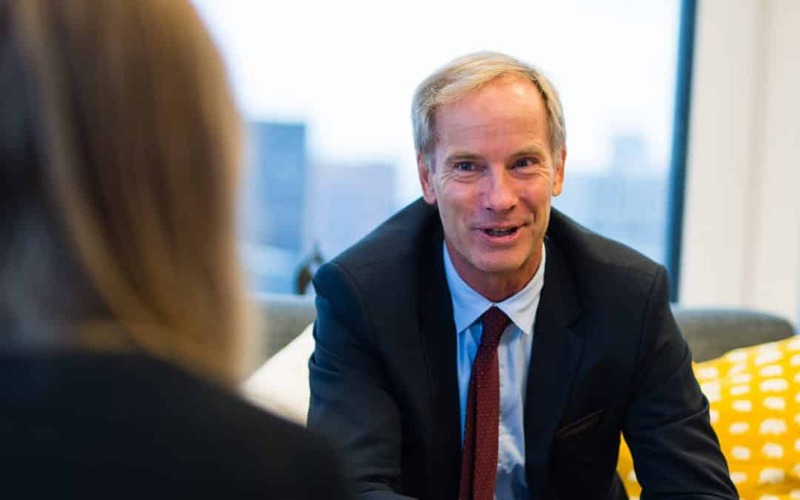 Ambassador Olof Skoog, the Permanent Representative of Sweden to the United Nations since March 2015, opens up about the United Nation’s 2030 Agenda for Sustainable Development, and how Sweden leads in implementing the 17 goals. To many people, sustainability is more than just a trendy term. It is about human survival. In 2015, the United Nations set 17 Sustainable Development Goals (SDGs) as part of a broader 2030 Agenda for Sustainable Development plan, commonly referred to as the 2030 Agenda. The idea is to tackle the pertinent global issues ranging from social to economic development by 2030, which could positively impact each and every person on the planet. Naturally, an agenda like this requires a serious global effort. 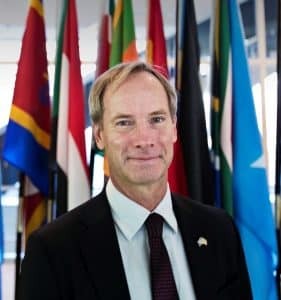 Deeply involved in this initiative is Olof Skoog, the Permanent Representative of Sweden to the United Nations since March 2015 after serving as EU Ambassador to Indonesia and Brunei, plus representing the EU to ASEAN. As he welcomed SACCNY to his corner office on the 46th floor—the headquarters of the Permanent Mission of Sweden to the United States, overlooking the UN, as well as the magnificent Chrysler building, at 1 Dag Hammarskjold Plaza—the Ambassador shared his views on sustainable development, Sweden’s efforts, and more. Given the myriad of interpretations, what does sustainable development mean to you? In brief, sustainable development is about making life better without harming future generations. It goes beyond taking care of people in the world right now, and extends to helping in a responsible and respectful way—without wasting resources or exhausting the limitations of our planet. Despite being a small nation, what impact does Sweden have on the UN as one of its 193 member states? Sweden is the sixth largest financial contributor to the UN. Moreover, as a society built on integration, coherence and social welfare, Sweden is able to make more of an impact through creating more opportunities and cultivating talents. Just consider our free education as an example. By liberating both parents and children from the costs, there is more room for new talents to develop and contribute to the economic growth and wealth of the country. With Sweden being considered most likely to meet the Sustainable Development Goals by the SDG Index, what do you think is critical to the country’s success? Considering how many of these sustainable development goals are well aligned with Sweden’s social system in providing free education and healthcare plus prioritizing gender equality, for instance, I believe the country has a solid foundation upon which to build and meet those aims successfully. Nevertheless, the Swedish Government’s ambition to lead and implement the 2030 Agenda requires the cooperation of the rest of the world. Rather than pointing fingers, we must recognize our own challenges, learn from others, and help other countries fulfill their parts. In light of SACCNY’s upcoming Sustainology Summit, which gathers decision makers from Stockholm and New York to tackle the UN’s Goal #17—“Partnerships for the Goals”— how do you think these two cities can learn from each other and collaborate for a better future? First, I must say that SACCNY’s work here is brilliant. By breaking down such an important issue on the city level, you can create a more relatable solution and speed up the process that could be slow and bureaucratic on the national front. As for your question, while New York is looking at Swedish solutions with great interest, Sweden can seize this economic opportunity to export sustainable solutions to the U.S. and abroad. Without a doubt, there is a rewarding opportunity for Stockholm to collaborate with New York—the financial and diplomatic capital of the world. In what way can the corporate sector be a driver of positive impact? Create more partnerships. Whether it is in the public or private sector, partnerships are vital to positive change and for implementing the goals more quickly. Ensuring sustainability, partnerships and collaborations should be founded on ethical and sustainable grounds. Moreover, Sweden must emphasize sustainable standards when doing investments, business and manufacturing abroad. The private sector already plays a crucial role in the financing of the 2030 Agenda. Permanent Representative of Sweden to the United Nations. The United Nations has a unique value and responsibility, towards the people of the world—to promote peace, development and equal rights. International cooperation, and a well-functioning multilateralism at its core is the best tool we have. Winter sports followed by good wine.